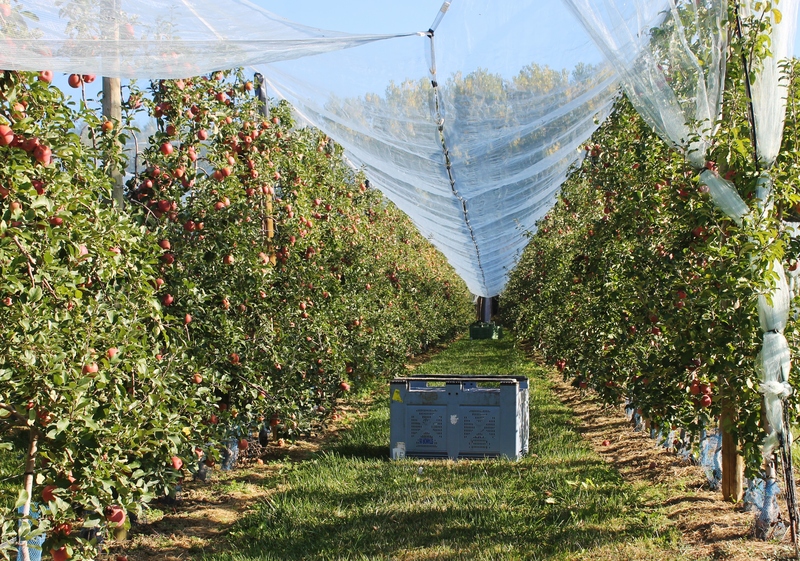 Leading French apple grower-shipper, with 300 growers and 5,500 ha of orchards, Blue Whale has its sights firmly set on Middle East where sales development of its newer varieties is an important goal. Fifty years after loading the first carton to Middle East, Blue Whale is now largely present in the Area: U.A.E, Qatar, Saudi Arabia, Kuwait, Oman, Jordan and Iran. After having successfully launched the Royal Gala variety in the 90’s, Blue Whale is now looking ahead and aims to make its brand more popular among all the consumers and establishes it as a symbol of quality and flavor. Therefore, innovation is a key part for Blue Whale in order to bring to the consumers a better tasting experience. 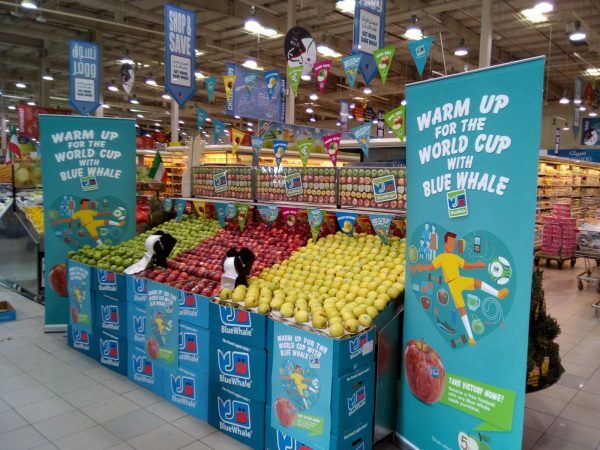 In the last 5 years, Blue Whale has consistently developed its offer thanks to orchard improvements and the insertion of new varieties of clones. For example, the recently launched Novablue®, a variety of premium grade gala, offers excellent pack out percentages with a very high number of fruits making the premium packs. Its distinct and exceptional red to purple color meets the changing needs of the market. The flesh is juicy and crispy giving a tasty sweet flavor. Blue Whale will be present at WOP Dubai in October and throughout the season, we will promote all of our varieties as well as also Joya®, Pink Lady® and Kissabel®, with animations, sampling and tasting activities in stores.